In this digital area, flyers have actually proven to be one of the best and most powerful means to market products and services. What makes it exciting is that they are so inexpensive but very powerful at the same time, while doing a good job marketing business offering to prospective customers. Having an in-house team of graphic designers inevitably leads to higher operational costs. For that reason, outsourcing flyer design services to professionals are the best way to get noticeable and engaging flyers. This is where we come in. speMEDIA in one of the leading flyer design services company in Zimbabwe. We offer clients flyers that are designed professionally. Not only that, the flyers we design make a lasting impression on the target audience. Our team of designers has years of experience in creative design services, thereby providing our clients with the best pamphlet designs possible. We have the required expertise and skills, providing the most creative and innovative flyer designs which cater to businesses’ requirements. Listed below are some of the key pamphlet designs that we offer. Tri-fold brochures are some of the types of flyers that are used by businesses to market their products and services. These are very easy to print. Also, they have a lot of space for information. Here at speMEDIA, we come up with designs that accommodate all the necessary information. We have a team of qualified designers who understand the requirements for leaflet designs. Furthermore, they will create enticing designs for advertisements in a single fold form or single sheet of paper. Our company will design such leaflets quickly; hence help clients make the most out of them. Not only do we design the aforementioned, but we are also skilled enough to design hanging flyers. These come with an opening that is used to hang on door handles. The hanging flyer designs will put across the information directly to prospective customers. Depending on your requirements, we will quickly design these types of flyers and send them across within a short period. Contact us today for all your pamphlet design needs. We promise you will not be disappointed! Can you help me with getting my flyer designed in Zimbabwe? Yes, we can host your website today! 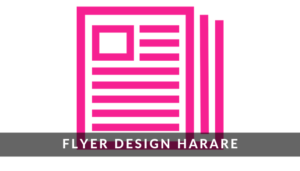 Why not give us a call on +263 776 260 360 or email us to discuss your company’s flyer design needs whether you are in Harare or anywhere in Zimbabwe. Get a free no obligation estimate or contact us to discuss your exact requirements. We appreciate that your business is unique in its own right. Therefore, we will design personalised flyer design for you. Kindly fill the form below and we will reply you urgently with a custom price quote. We are open from Monday to Friday 8 am to 5 pm.